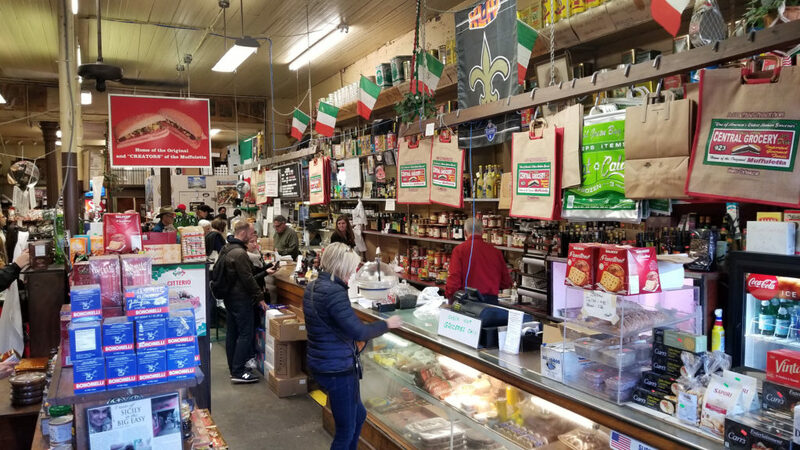 This legendary Italian deli in New Orleans is world famous for creating the muffuletta sandwich. 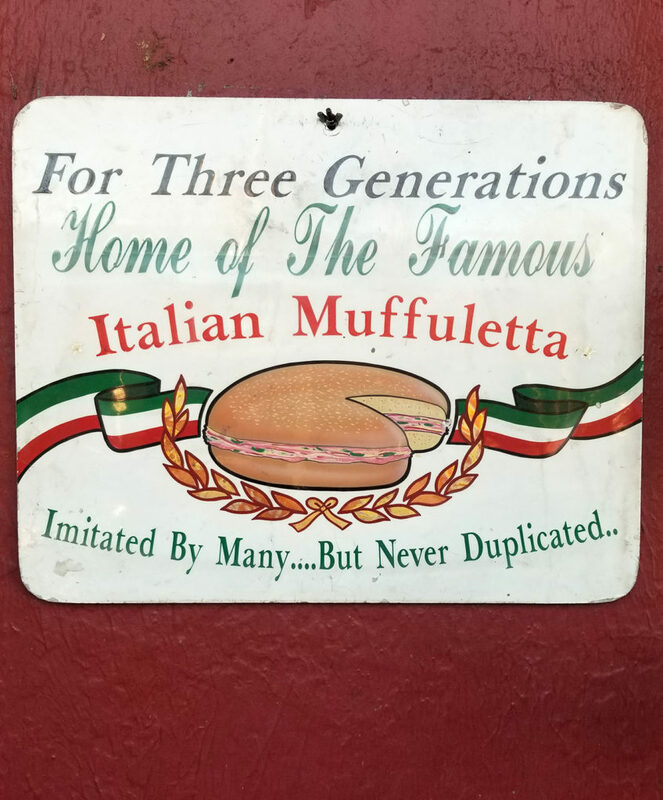 Muffuletta is technically a massive sesame seeded bread, but the name has been coopted here to describe this particular sandwich. 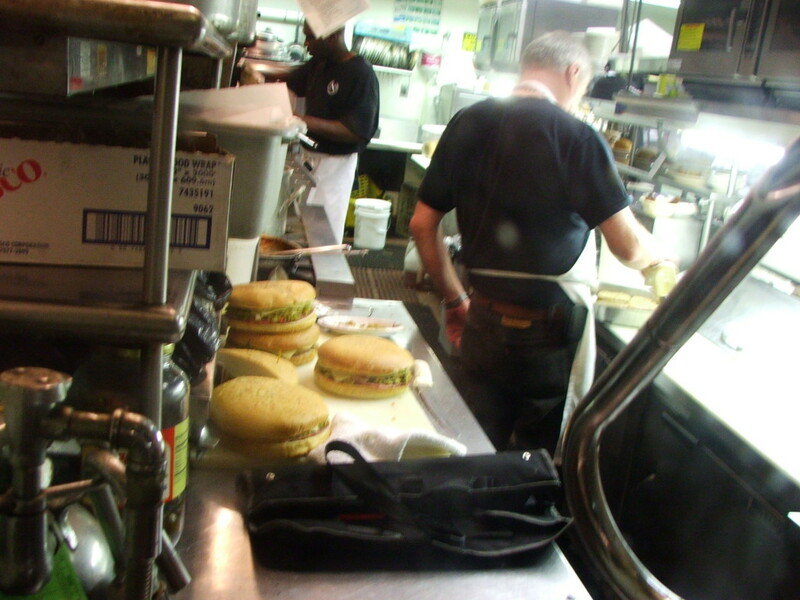 When I first saw them back in 2009, I thought they were giant burgers. So what exactly is in the sandwich? 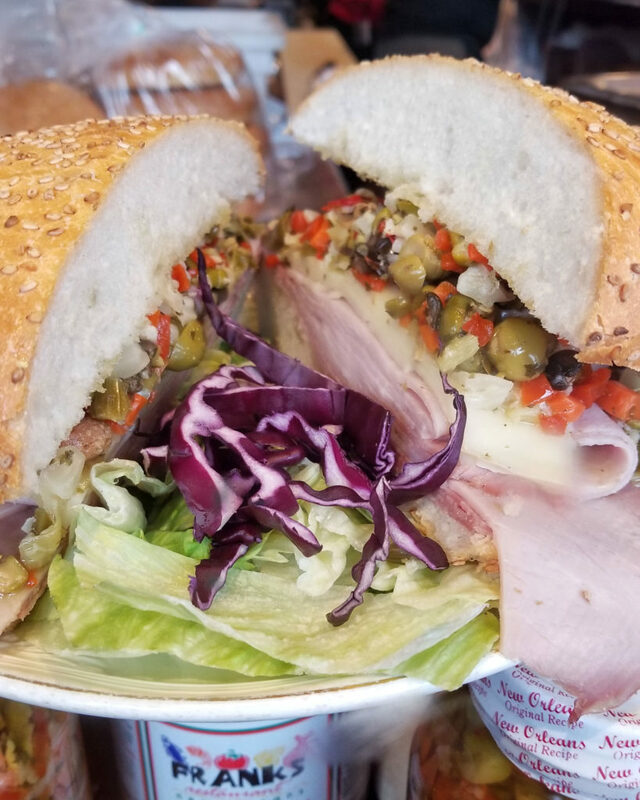 It’s essentially an Italian hero (high quality Italian meats and cheeses) on that circular shaped muffuletta bread, but with one special ringer: the magical olive and giardiniera salad (pickled cauliflower, hot peppers and carrots). 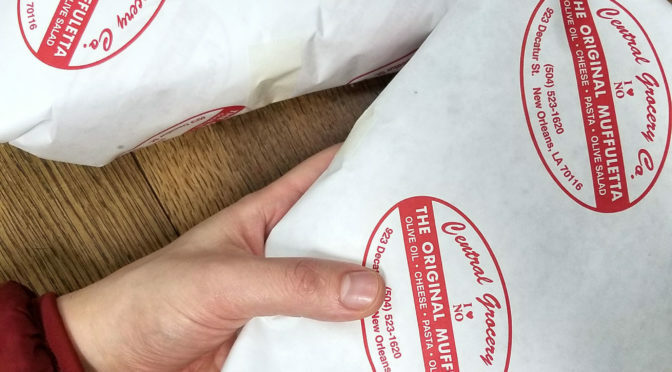 There are lots of joints serving this sandwich all over New Orleans, and even now in NYC. 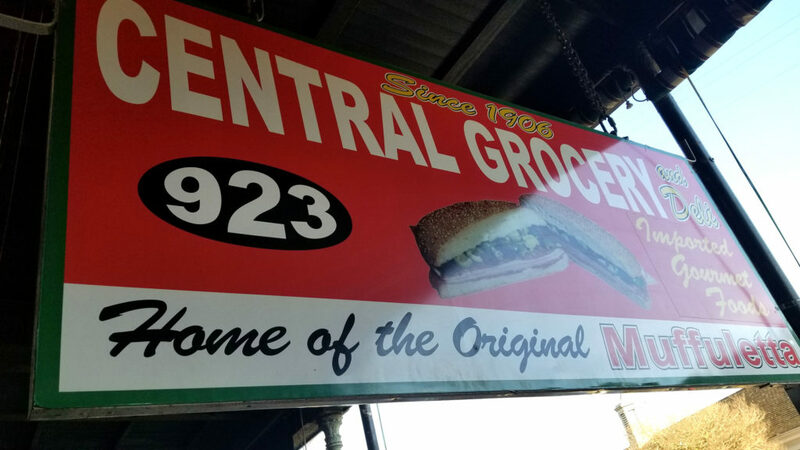 But the one and only, the original, is Central Grocery. It’s either $10.95 (half) or $20.95 (whole). 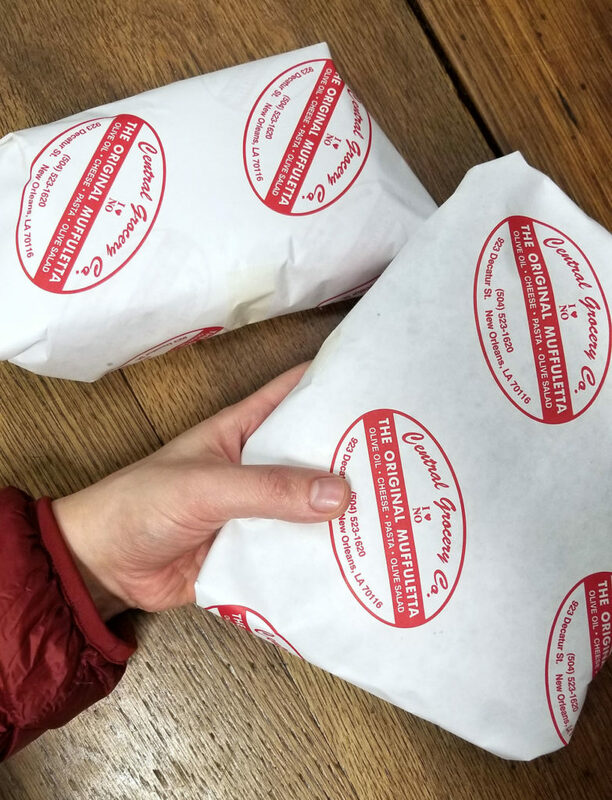 Below is a half on top, and a whole in my hand. 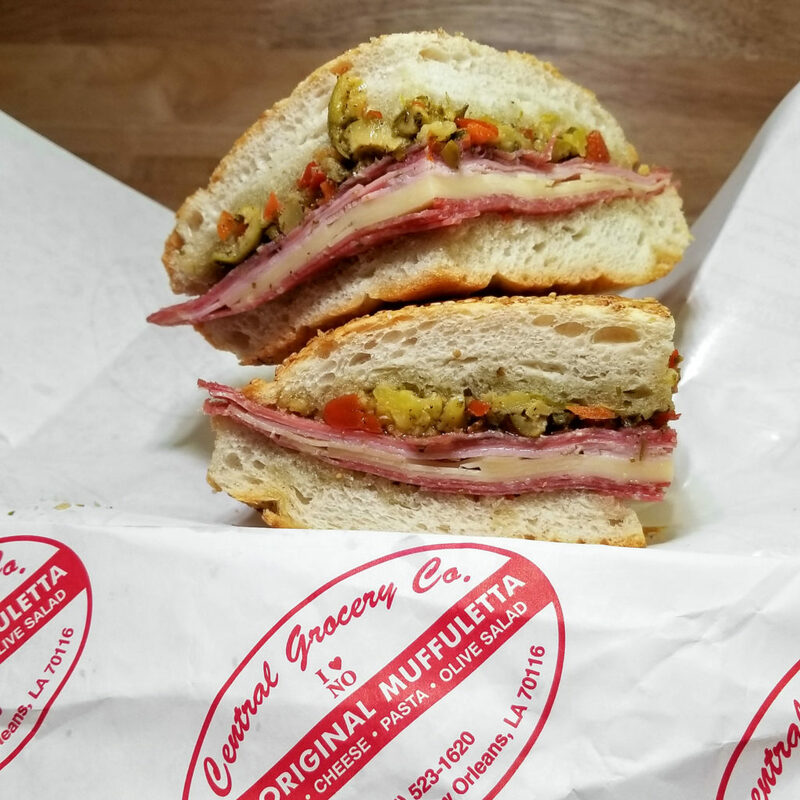 If you can’t find a place serving muffuletta near you, and if you can’t hop on a jet to NOLA, I highly suggest making one at home. Olive salads and giardiniera salads are usually available in jars at gourmet grocery stores. If you can’t find the bread, just slap those salads on top of a regular Italian hero and you’ll pretty much have it sorted out.